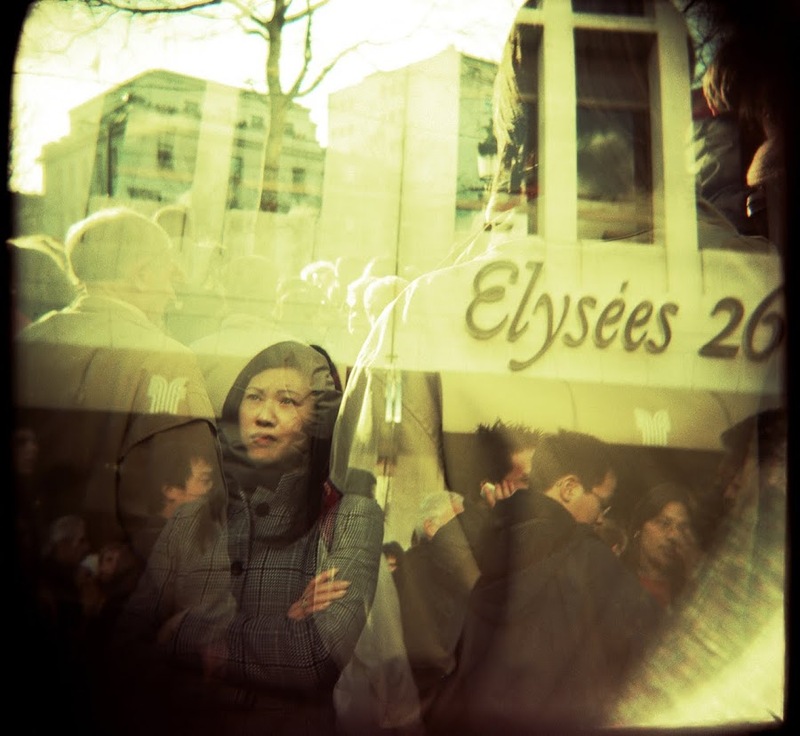 this multiple exposure was captured with a holga and shot on slide film, then crossed processed. it was captured at the Champs-Élysées during the chinese new year parade. 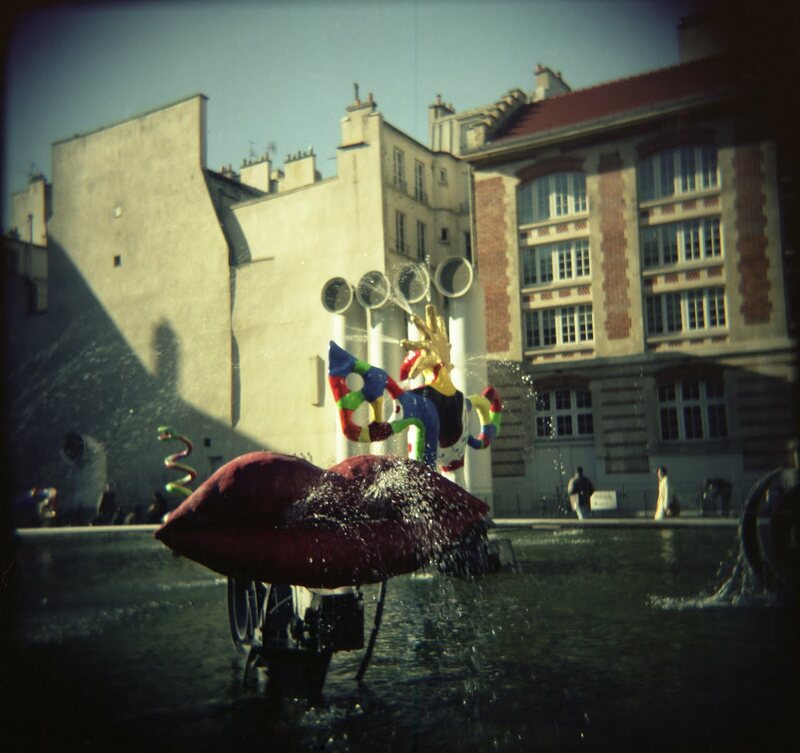 yet another holga image. 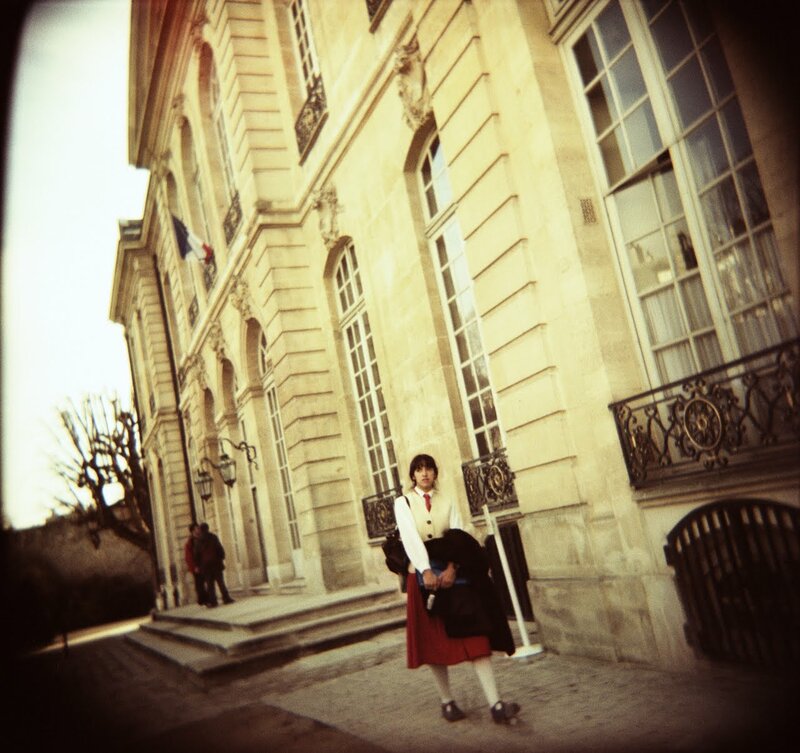 this one was taken in front of the Musée Rodin. 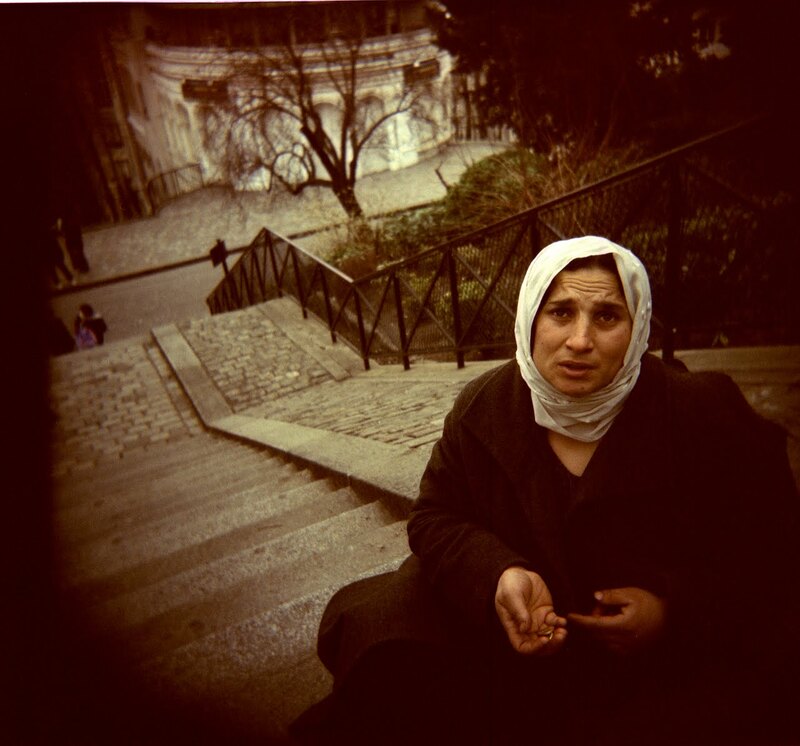 i met this woman while she begged on steps not far from the Sacré-Coeur. there's so much emotion when i look at this image. the blinding light as you exit the metro. it happens in really any city with an underground travel system. especially on a sunny day, the light hits you hard as you emerge from your travels. yet another ode to sabrina. if you've seen the film you might recognize this location. the title of the exhibit was Love, Holga. What amazing pictures! 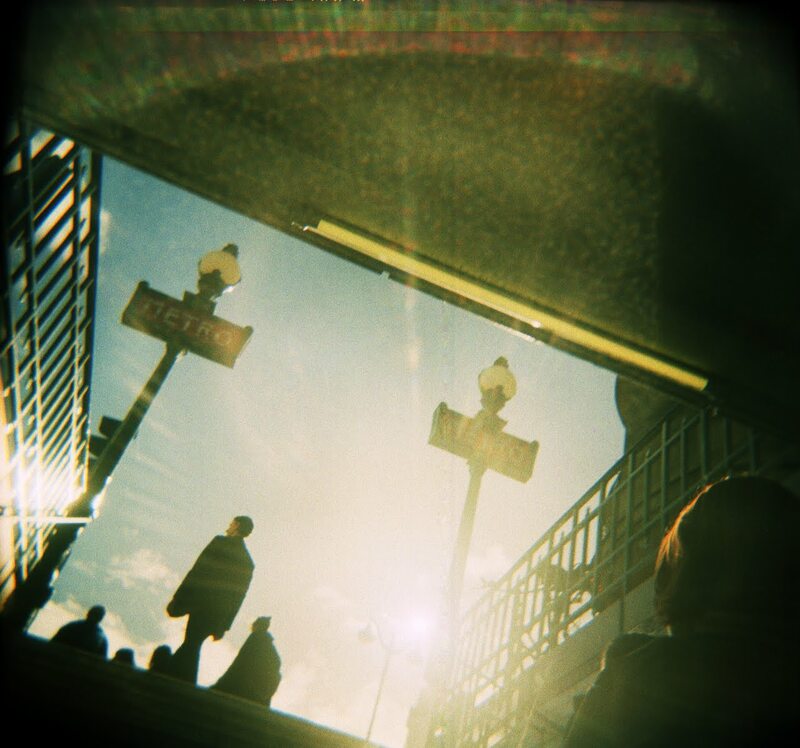 Makes me want to get a Holga. Love the Metro picture the best I think. all those pictures are amazing. but wow that metro one with the sun shining? breath taking. 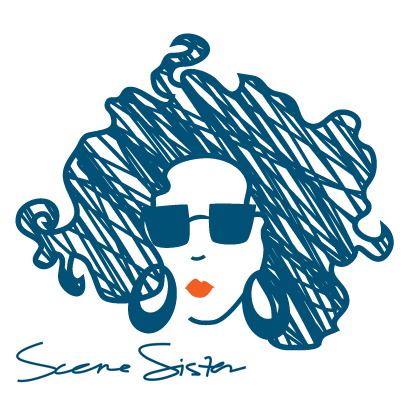 you have some serrrrious talent. Carolee- I love your photos but I've always been particularly touched by the photo of the woman on the steps at Sacre Coeur. If I had any money at all I would buy a print. these are so so beautiful. I seriously looked at each one for like two minutes straight. You have such an amazing talent!